It's the comback fans have been waiting for: Larry Hama returns to G.I. JOE: American Hero! G.I. Joe has disbanded and COBRA wastes no time: Cobra Commander begins unfolding his sinister plan, activating sleeper agents all over Washington DC and convincing the United States to hire nationwide security from COBRA. First order of business: hunt down and eliminate G.I. JOE! Picking up where the original G.I. 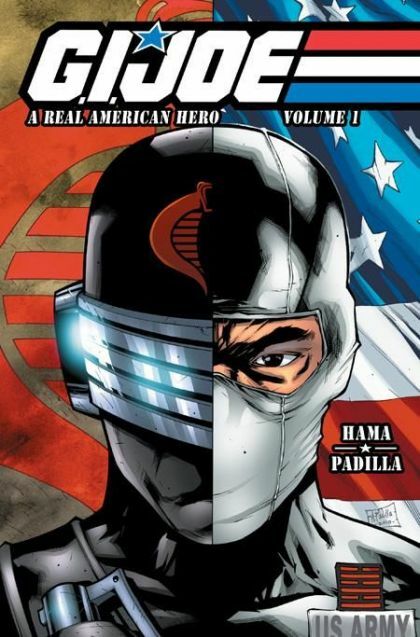 JOE: A Real American Hero comic book ended, Larry Hama and Agustin Padilla don't miss a beat in this thrilling adventure!